Our garden borders production takes place only in Poland and are used where quality is most important. For many years we dealt a distribution many garden products included borders. 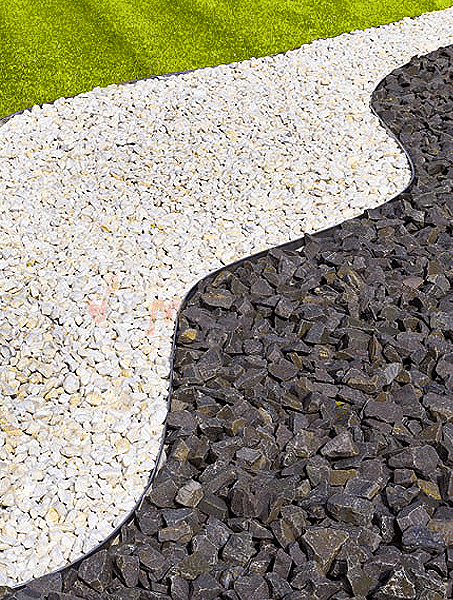 Using our experience we create European manufacture- garden borders. We use modern technology to production and we received borders which meet all quality criteria. Our manufacture is ideal to home gardens and public places. It perfectly replaces the concrete curbs traditionally used until now. The light weight and ease of assembly allows for self-alignment of the edges. They will be used for laying the cobblestones because of their durability as well as the creation of various arches in the garden where after cutting the bottom strip you will appreciate their flexibility.And the assembly of the product is practically not visible what affects the value aesthetic. OPEN from 8 am to 4 pm.